Also linking up to WIP Wednesday because I have a few things on the go and still need some nudging! - An oven glove! It's not perfect but it's fun :) I'll show you tomorrow! - Dead Simple Quilt, just needs binding so in the final stretch! - Do Not Compute - 11/30 blocks complete... really?!!! I've counted about 3 times, I thought I'd done far more than this. Do I get an award for taking ages to put together a quilt?! I'm totally blaming that folder that I thought was a good idea, ok it helps keep the pieces organised but out of sight, out of mind. May need to buy a see-through folder!! 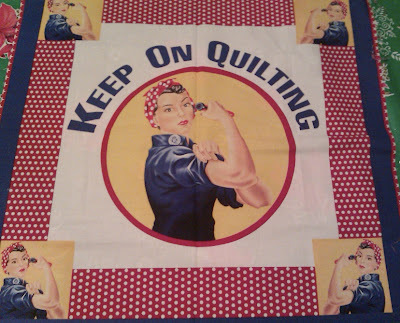 - Quilts for nieces, although the fabric arrived! 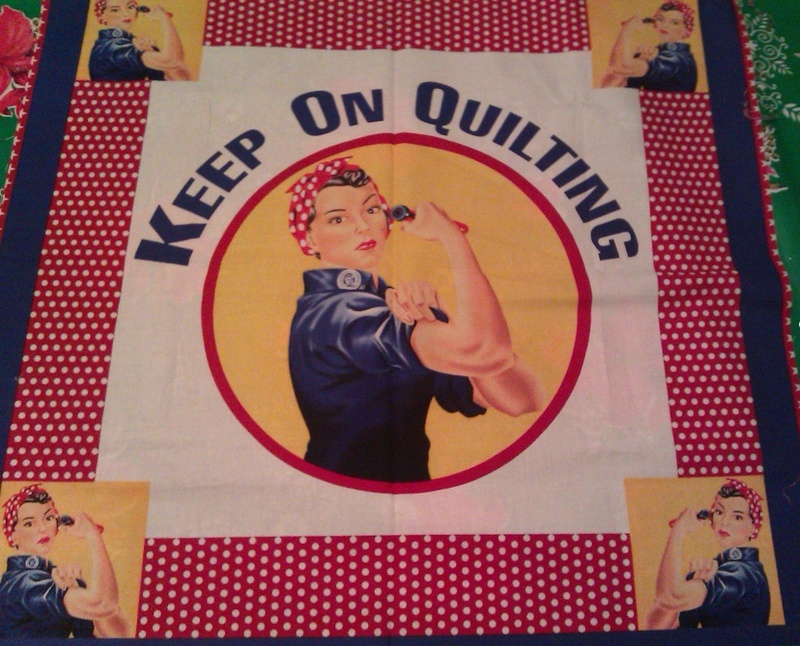 I love Rosie the Quilter! I think I would be tempted to keep it up on my wall so I could see it all the time! When I recently made a few cushions, what I did was spray baste the pillow tops onto a regular old piece of white flannel, I think it was actually sold as "diaper flannel" (to you that would be nappies! ), so absolutely nothing special, but it gave it a bit more strength, I think, but not as much fluff as quilt batting. So I'd recommend the flannel! Where did she get the fabric?!? I would love to get my hands on some. OMG I LOVE that fabric! YUM!!! You know, I signed up to get your posts emailed to me and they haven't come through. What gives Blogger...what gives? Lucy, they are trying to keep us apart! Yum,chocolate ;) Love Rosie the quilter,a wall hanging would be awesome,but than sew would a pillow! Have fun with it. Oh I think you should make a cushion. I think that is a great idea. I really do like your carnation quilting - I think it would look good in the right place of a quilt. I can't wait to see what you make with the panel! !